Multi-national ISVs and organizations building applications and using Power BI Embedded to embed analytics into their apps, can now deploy their data in multiple regions across the world to comply to different data residency requirements. Learn more on Power BI Embedded Multi Geo. Using the ‘Refresh now’ API, the limitation on the number of refreshes you can schedule per day is removed and instead an unlimited number of refreshes can be triggered for each dataset. Combining the refresh now API with incremental refresh, you can build a near real-time dataset that performs small updates of fresh data very often. Note: The time of existing refresh is not expected to be shorter, so a new refresh of a dataset cannot start before the previous one finishes. Remember that your resource limitations do not change with the introduction of this API, so use these unlimited refreshes with caution and be careful not to overload your resources with unnecessary refreshes. Security is a priority for Microsoft, and we have company-wide programs in place to ensure customers have control over the security of communications with Microsoft services. As part of that, we highly recommend (and will require in the future) to upgrade the TLS version of your application to TLS 1.2. TLS stands for “Transport Layer Security” and is a protocol that is an industry standard designed to protect the privacy of information communicated over the Internet. TLS is used in many web browsers and applications that communicate over HTTPS and TCP. If your application is running on .NET Framework 4.6 or higher unless modified the default configuration will continue to work. Power BI API SDK supports .NET standard 2.0 from version 2.1.0, which adds support in TLS version 1.2. you can download latest SDK version here. For non .NET software- please check with your vendor. For most languages it can be done with a simple config entry. Additional information can be found in ‘TLS 1.2 support at Microsoft’. We have added new user action event that you can listen to and connect it to your application flow. With this capability, you can add custom buttons to a report that will trigger actions, reducing the time from insight to action to zero. Actions like “send email”, “open a service ticket” or “raise an alert” can be triggered from within the report page, right next to the relevant visuals. Learn more on how to handle events. 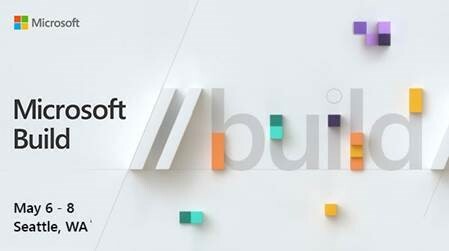 Microsoft Build– We have a booth and dedicated sessions on Power BI embedded analytics. 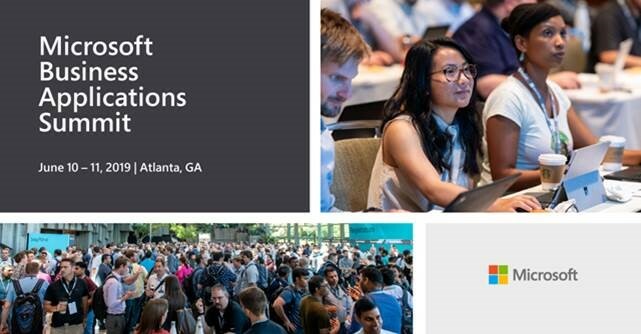 Microsoft Business Applications Summit– ‘Introduction to Embedded analytics’ session, and a pre-day lab for Power BI developers. Did you check our new labs? 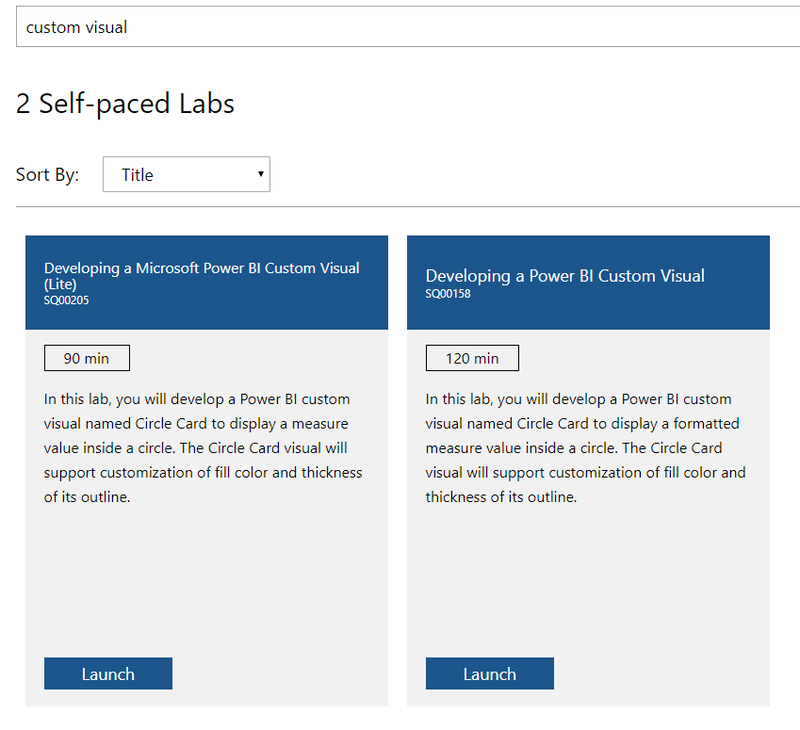 Please go to https://www.microsoft.com/handsonlabs/SelfPacedLabs, and search on custom visual. 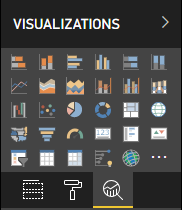 Do you already have a Power BI visual? do you want to publish your visual to Microsoft AppSource? Please check out this article to learn how. We almost reached 200 visuals in the Microsoft AppSource! Thank you to Power BI custom visuals community, who is the force that drives the success of this platform. In order to keep high quality and consistent experience to our end users we keep updating our Power BI visuals guidelines. Please make sure that your visual complies with the guidelines before submitting to Microsoft AppSource. Analytics pane was introduced for native visuals on November 2018. Now, custom visuals too can present and manage their properties in the Analytics pane. Under the object‘s definition, add an objectCategory field with a value of 2. Note: the objectCategory field is an optional field introduced in API 2.5.0. It defines the aspect of the visual that the object controls (1 = Formatting, 2 = Analytics). “Formatting” is used for look-and-feel, colors, axes, labels etc. “Analytics” is used for forecasts, trendlines, reference lines and shapes etc. objectCategory defaults to “Formatting” if omitted. “show” of type bool, with default value of false. “displayName” of type text. The default value you’ll choose will become the instance’s initial display name. 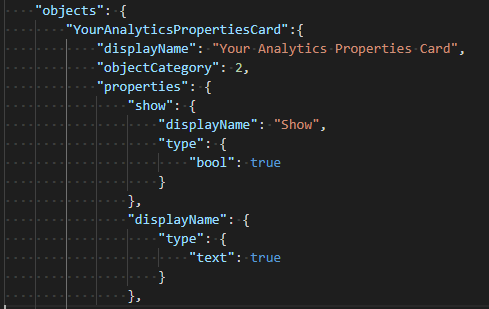 Any other properties may be defined in the same way as done for Format objects. No multi-instance support yet (coming soon). Objects cannot have a selector other than static (i.e. “selector”: null), and custom visuals can’t have user-defined multiple instances of a card. Properties of type integer are not displayed correctly. As a workaround, use type numeric instead. As a general guideline, and on par with out-of-the-box visuals, please use the Analytics pane only for objects that add new information or shed new light on the presented information. For instance, dynamic reference lines illustrating important trends. Any options that control the look-and-feel of the visual, i.e. formatting, should be kept in the Formatting pane. As of API 2.5.0, dataRepetitionSelector interface was removed from our tools. Instead developers should use CustomVisualOpaqueIdentity interface. The new beta version of PowerBI-visuals-tools 3.0.12 compresses the visual packages by default. Custom Visuals package created with this new version will take much less space! 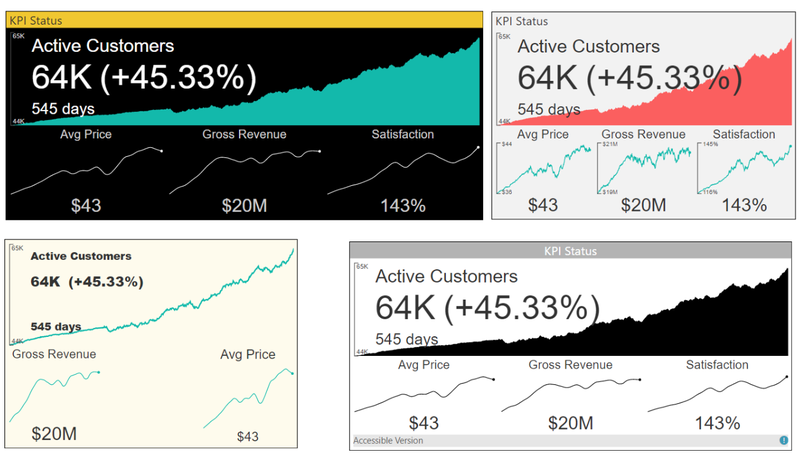 Are you interested in creating a Power BI visual? The source code of our MultiKPI visual is open now available in GitHub! It is time to view, edit and extend!